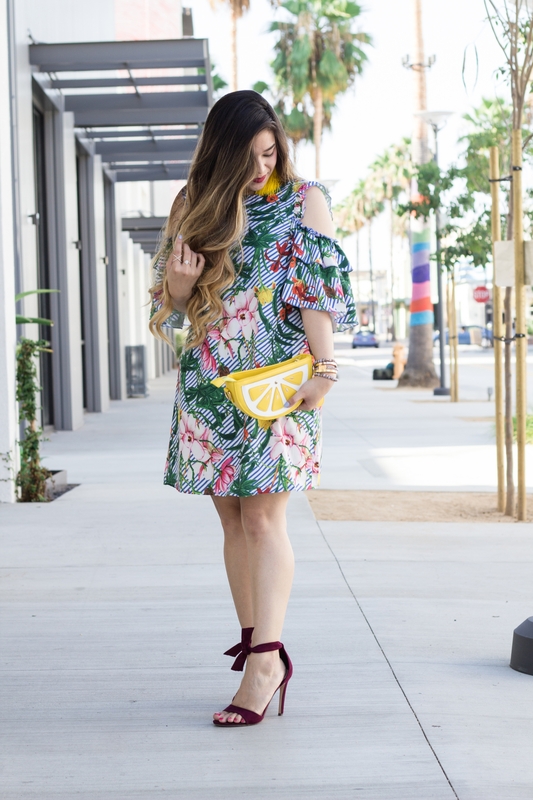 I love the subtle V back neckline on this tropical print cold shoulder dress, too. 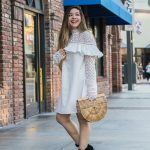 That coupled with the tiered frills on the back makes this dress oh so chic! The best part about this tropical print cold shoulder dress? It’s only $20! For reference, I’m wearing a small and the fit is perfect on me. You can get it here! 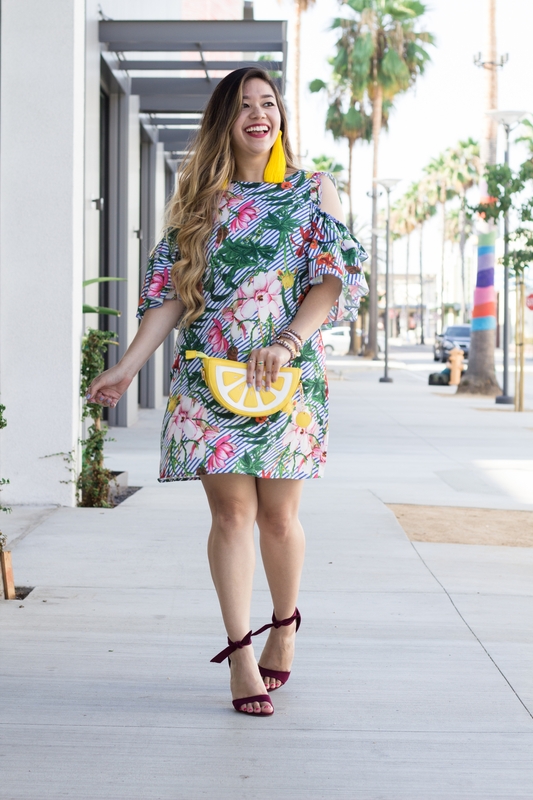 If you’ve been following along for a while now, then you know how obsessed I am with the fruit fashion trend. 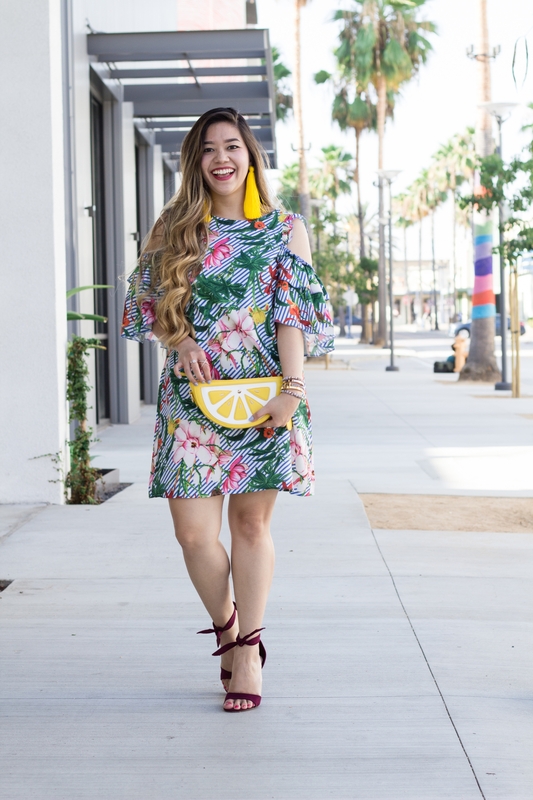 From banana print dresses to pineapple shaped bags, I am OBSESSED!!! 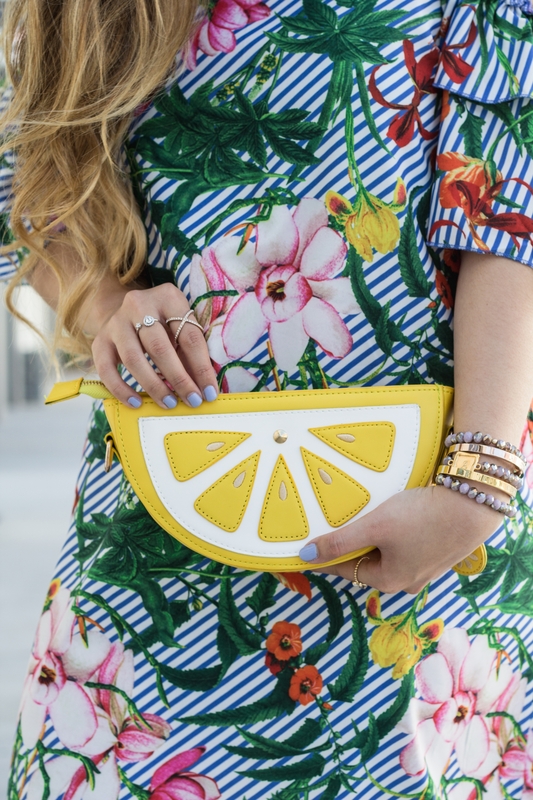 So obviously I had to feed my obsession and get this super cute lemon clutch, too! 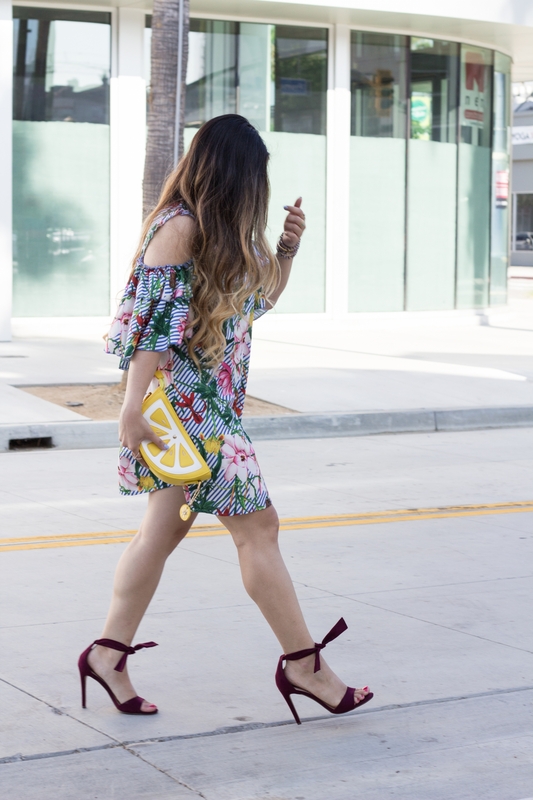 My gorgeous arm candy are all from Taudrey! 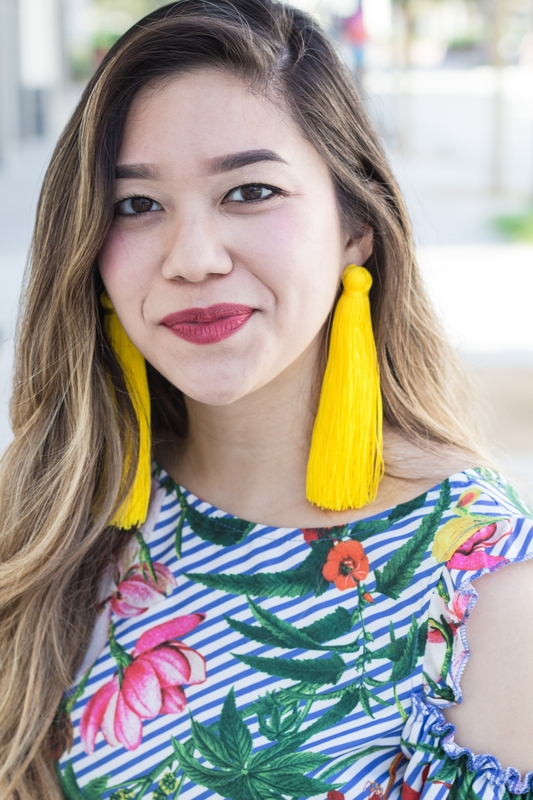 Taudrey is a handmade and personalized jewelry line and I’m seriously OBSESSED with all of their pieces! 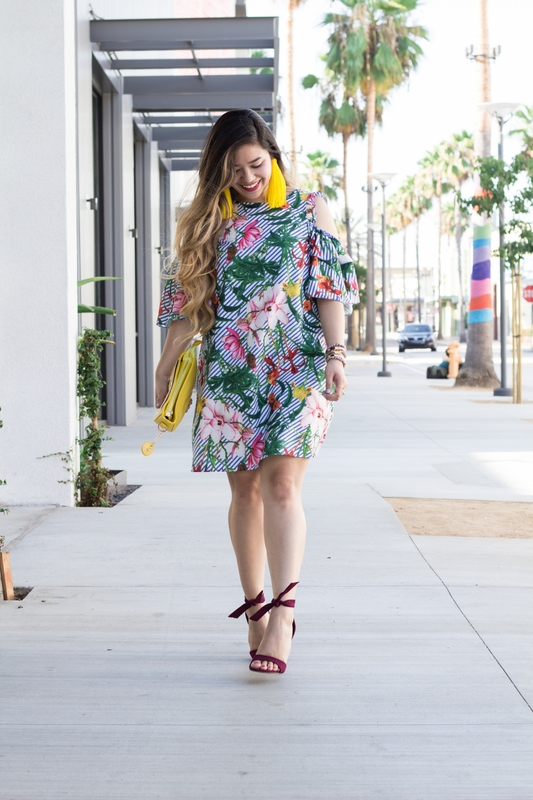 They’re so fun, unique, affordable, and I absolutely love how they’re handcrafted with love by designer Tiffany Dominguez. I’m wearing the Sabby Style Bracelet Set in Lavender and The Fashionista’s Diary Set with the words “marblelous” and “saltwater heart” customized on it!